A legacy of customer service. Norfolk Truck & Van provides dealership knowledge across Renault commercial sales, service and parts. Local supplier of mushrooms takes new Renault from Norfolk Truck & Van. Three exceptional depots. Three exceptional teams. New vehicles supplied with dealership expertise. 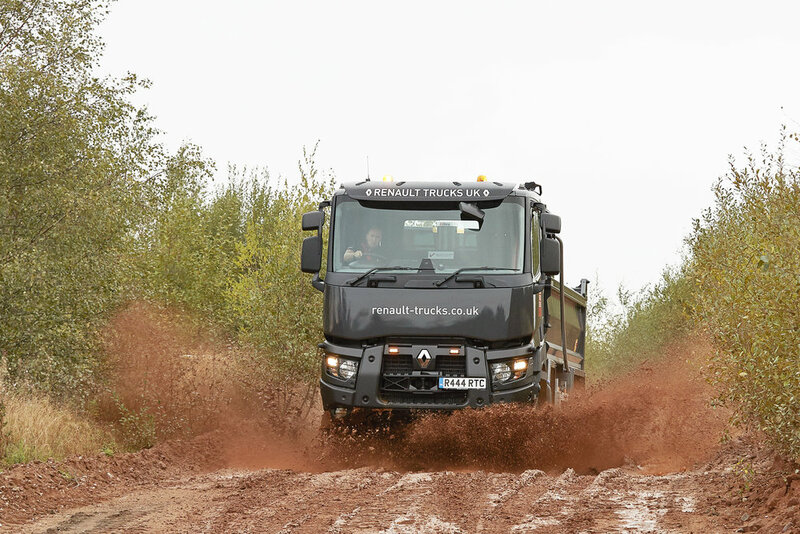 Norfolk Truck & Van offer both new and used commercial vehicles, and is proud to offer Renault Trucks vehicles as our flagship brand. We supply vehicles from vans to 44t, including 8-wheelers and utility vehicles. Euro 6, Auto, Day Cab, Air Conditioning, Reverse Buzzer, Third Central Seat, N/S Vision Door, Exterior Sun Visor, Plain White. Norfolk Truck & Van now have 2 x C Range 8 x 4 Tippers in stock. The robust C Range chassis has been fitted with a Thompsons Loadmaster body with an outstanding payload capacity. These vehicles are ready for immediate delivery. Our Enfield depot can supply 8-wheel chassis to a range of specifications. TRACTOR UNITS AVAILABLE AT ALL DEPOTS NOW! High-specification tractor units, including the T520, are available at all our depots for immediate sale.